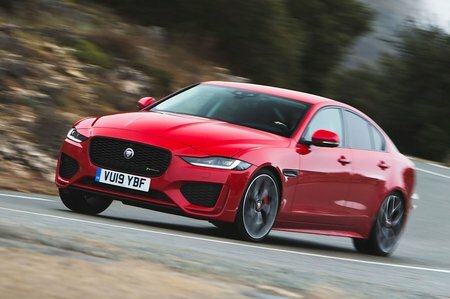 Jaguar XE S Review and Deals 2019 | What Car? Even this entry-level spec comes with 18in alloy wheels, electrically adjustable leather seats, dual-zone climate control, automatic lights and wipers, cruise control and a 10.0in touchscreen infotainment system with Apple CarPlay and Android Auto smartphone mirroring. Meanwhile, the list of standard safety kit includes automatic emergency city braking, lane-departure warning and a driver drowsiness monitor. It's enough to make it our pick of the range.